Last night after Adam had read my blog post, and I was still in bed, he told me that I better get up and do something creative since I made a promise to my blog readers that I would :) I love him. I am using the bento box pattern with Echino fabrics. The center is a HUGE (maybe 12x12) embroidery piece. I am only doing two blocks like that!! Eeeek! I can not wait to get more done on it and share it with you :) This is going to be a very special one, going to a very very special lady as a gift (another reason as to why I am not sharing it yet!). Isn't that the most beautiful sight ever? I think sooooooo! Happy Wednesday!! I am sooo excited about the new Bible Study starting tonight!! oh my goodness gravies! 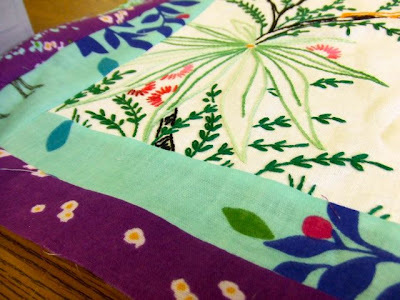 the new quilt is absolutely beautiful (totally <3 those fabrics)! 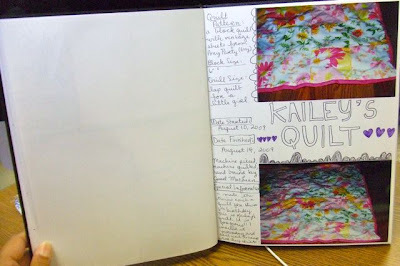 the quilt journal just totally rocks and it makes me want to start quilting (maybe, ya never know)... and how COOl is your classroom!! 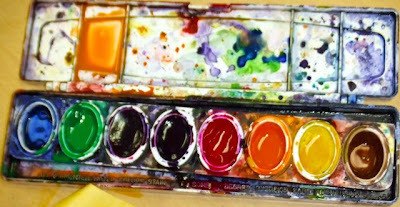 i'm closest with the art teacher at the kids school (miss G... shes such a sweetie<3)!! Hope you're feeling better soon!! 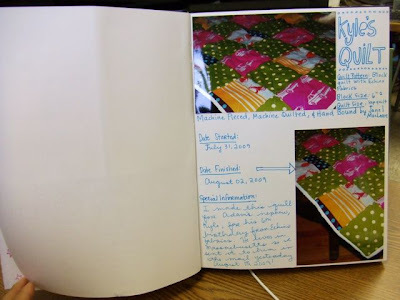 Absolutely love your quilt journal!!! THAT is a definite treasure!!! Your new one looks beautiful! Can't wait to see more! 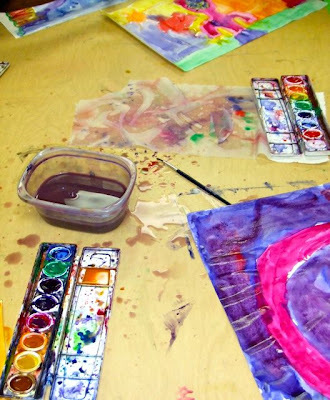 I can imagine your art class is soooo much fun! I bet those kids just love you to pieces!!! My verification word is "defork". That just makes me laugh. the new quilt is looking amazing--stop putting the rest of us to shame (but seriously, don't stop because everything you're making is beautiful :) ). 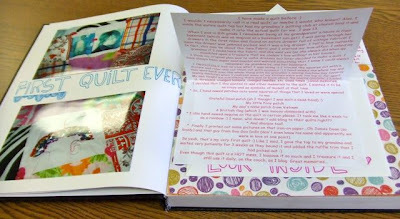 i also loooooovvvvveeeee your quilt journal. it's a good way to keep track of all you've done as well as to hopefully pass it on someday to someone who will cherish the history as much as you do. plus, it just looks cute. i have a neat verification word too. it's "brogrog" which reminds me of manmate's waking up sounds. 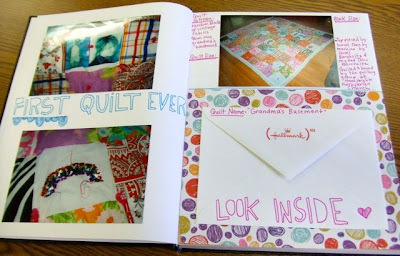 Emma- all of these quilts are on my blog (somewhere) look through June and July!! 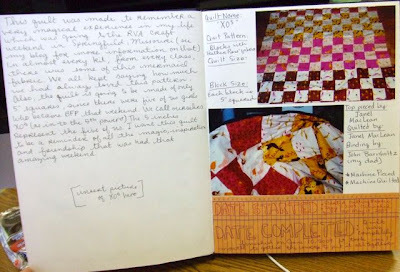 That quilt looks like it will be gorgeous! I love all the colorfullness of this post!! You have a really cool mom that she will leave you comments! Sorry your not feeling good. 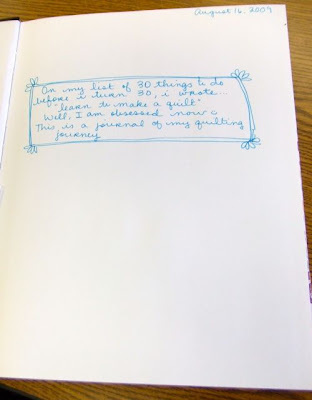 I am so going to copy cat your journal idea. I never thought of making my own. You inspire me! 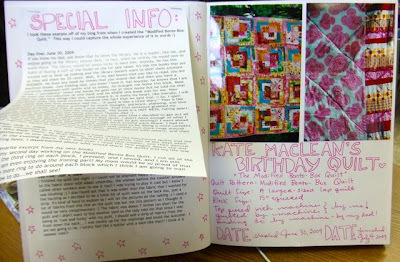 And you are so right that the other journal is too small to do our quilt projects any justice at all! Thanks for leaving luvs on my blog!!! Love you, hopefully you get better soon! Oh, I almost forgot........I know who the quilt is for......LOL. 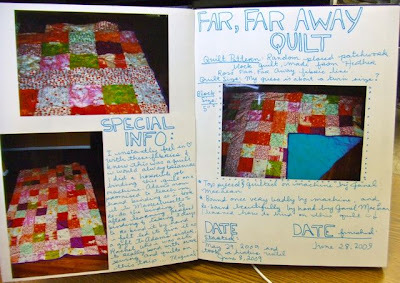 I CANNOT wait to see more of this very special quilt made with TONS of love!! I LOVE your fabric choices too. Goodness what a fantastic idea. 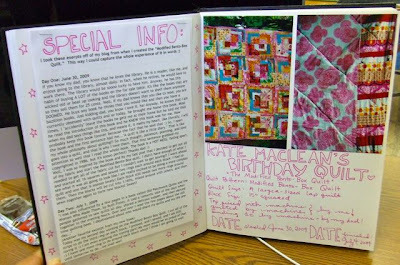 A quilt journal. I am so going to do this!